AppleJack Gaming was founded by Paul Overton in 2013 and in its relatively short history has become one of the most innovative names in the online gaming industry. During a period of huge growth in this industry, AppleJack Gaming has remained at the forefront of its field and has continually developed its offerings to keep its customers engaged. Its focus is on always staying abreast of technological developments and working out how to best incorporate these ongoing advancements into its games. Click here to read more. AppleJack has a reputation for redeveloping classic casino games and making them relevant and exciting to a modern audience. This is achieved by using cutting-edge technology to improve the user experience and add new dimensions to traditional games. The company also develops countless original games. 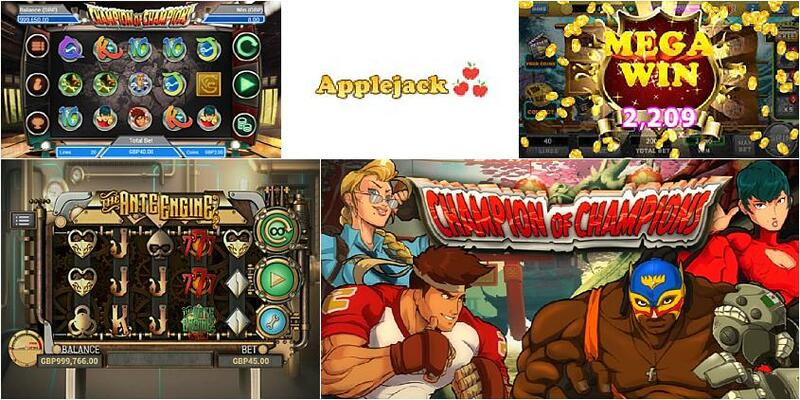 One of the biggest names in AppleJack Gaming’s stable is Champion of Champions. This martial arts-themed slot is the first collaboration between AppleJack Gaming, Coral Interactive and game development programme and marketplace Odobo, and promises to become a firm favourite with gamers all over the world. The five-reel, 20-payline slot offers plenty of action and three exciting bonus features. With its striking anime artwork and unique characters, the game’s design complements the thrilling gameplay. The three original bonus features add an extra dimension to the game and help to ensure that even the most experienced gamers will keep coming back for more. What Makes AppleJack Gaming Stand Out From Its Competitors? AppleJack Gaming is a pioneer in the gaming industry thanks to its work on developing HTML5 games. It also leads the way in developing high-quality mobile versions of many of its games and is one of the market leaders in this field. AppleJack Gaming realised early on that the mobile gaming industry was due to explode and that the future of online gaming would be largely dependent on engaging and enjoyable mobile versions of existing favourites becoming easily accessible to a wider audience. It is dedicated to remaining a step ahead of the competition. AppleJack Gaming aims to breathe new life into the existing games in its stable and to re-imagine them for future generations of gamers. The studio also aims to develop new, original games designed to offer unbeatable online gaming experiences to its customers. The company is currently working on developing games making full use of the touchscreen capability of smartphones and tablets, enhancing the user experience and increasing the possibilities for fully-interactive online gaming. AppleJack Gaming also recognises that the future of gaming will be all about holding on to customers and instilling in them a sense of brand loyalty. It aims to do this by creating the most entertaining games on the market and by ensuring that every game is completely optimised for the device on which it is being played. With a focus on both established western and emerging eastern markets, AppleJack Gaming is keen to become a world leader in the online gaming industry.